Police drama about a veteran officer who escorts a rookie on his first day with the LAPD's tough inner-city narcotics unit. 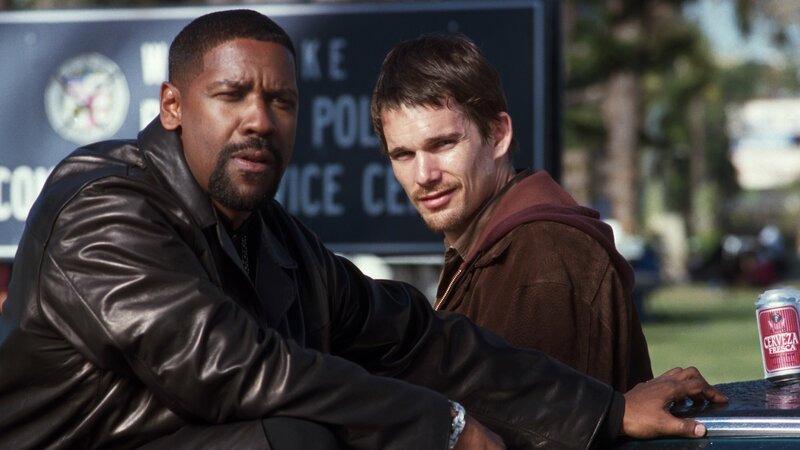 "Training Day" is a blistering action drama that asks the audience to decide what is necessary, what is heroic and what crosses the line in the harrowing gray zone of fighting urban crime. Does law-abiding law enforcement come at the expense of justice and public safety? If so, do we demand safe streets at any cost?